December 2nd, 2014 by Roy W. Spencer, Ph. D.
As I have mentioned before, month-to-month variations in global tropospheric temperature can be rather large just due to variations in convective overturning of the atmosphere (storm activity). To demonstrate how large the changes can be, the following plot shows the daily temperature anomalies for November, 2014. Note that the tropical troposphere warmed by 0.5 deg. C in less than 2 weeks, presumably coming out of a less convective phase. Despite this rise in late November tropical temperatures, note the extratropics must have cooled since both the NH and SH show downward trends. While this variability in tropospheric temperature might suggest just how dynamic the climate system is, it requires less than 10% variability in storm activity. In general, rapid tropospheric warming events occur during SST cooling (and vice versa), which is much weaker in magnitude owing to the very different heat capacities of water versus air. The global image for November should be available in the next day or so here. Dr. spencer, Thanks for the update and extra chart. I’m guessing this means Dec will start off a lot cooler. Dec would have to clear .20 for UAH to come in as the 3rd warmest for 2013. Yes, the land temperatures seems to diverge warmer than the ocean after about 1998-2000. We have been looking at this closely in our new Version 6 data (under development) to see if it is an artifact of the newer AMSU instruments starting about the same time. We don’t have an answer yet regarding how much of this is real. Thank you for your reply. The consistency of all curves except CRUTEM is quite remarkable until 2005. While checking and re-checking one’s measurements is never a bad thing, it’s relevant that that such a divergence in land and sea temperatures is consistent with ocean dynamics suppressing warming over the last decade and change. It’s also relevant that RSS and the surface temperature records show a similar phenomena. I believe that’s exactly what RSS don’t do. They don’t show this strange, sudden, massive 2005-06 uptick in land temps – even when ocean temps do no such thing – that UAH do. And I believe we might have found the source of the step discrepancy between the two. Is that tropical rise related to the weak El Nino development? probably not…we see these intraseasonal oscillations in tropical temperature fairly routinely….they would be superimposed on the more gradual warming from El Nino. Is it also typical that the tropical pattern is so different than the extra-tropical? I would say it’s not that unusual. I have updated your graph in my climate and meteorology pages. More of the same no increase in global temperatures in response to an increase in CO2. I don’t want to get in a back and forth Salvatore, but there is clearly an upward trend in the above chart that is only going in one direction, up. Everything is going up this year, record breaking monthly surface temps, record breaking yearly ocean surface temps, nonstop rise in deep ocean content 0-2000m, continuous rise in sea level, and many other indications of a warming planet. Please stop the delusions that this planet isn’t on its way to a much warmer and dangerous future. NASA must have missed that…..seriously Anything? Aaron S, the dangerous future is arriving now. But ignore the models, projections and current extreme weather events. Let’s just focus on current observations. Current measurements make it clear that our planet is gaining energy at a relentless pace. With an enormous lag in ocean response the planet has around another 1C in the pipeline. We have about a decade left to prevent 2C warming. Things are becoming far more serious as it becomes clear there is no immediate way to slow emissions rather they are still growing. Does anyone on here seriously doubt that 2020-2030 won’t be warmer than the current decade? Bassman, human emissions have no impact on carbon growth. Carbon growth tracks with temperature as the above graph shows… we couldn’t slow carbon growth if we tried. Does anyone know why commenters insist on showing plots like this? series. Your graph shows exactly what we would expect to happen, i.e. CO2 increases more in ‘warm’ years than it does in ‘cool’ years. We know this – but that can’t explain the accumulation of CO2 in the atmosphere. Note that the derivative (rate of change) is never below ZERO. If CO2 increases were simply a function of temperature then we would expect a NEGATIVE (less than ZERO) derivative in any cool year which followed a warmer year. There are 2 possibilities: (1) You are trying to be deliberately misleading or (2) You don’t understand what a derivative means. That was true for orbital forcing, not now. Your statement is very dishonest. Planet’s been warming on and off but reasonably steadily, for 300+ years. Nothing out of the ordinary. The warming would only be interesting if there was an accelerating trend. Which we don’t see. You say “dangerous future”, but that claim seems based on IPCC models that are getting farther and farther from the reality of the data. It was substantially hotter last interglacial from natural climate change. Sea level was 6m higher. So we dont seem to be heading towards some unnatural climate phase except in the delusion of a climate model. I’m not surprised at higher UAH temps this year, Bassman. For comparison, the last three years of the Modern Maximum in solar activity had daily solar fluxes of 180, 181, and 180 sfu/day for the years 2000-2002, the solar max years of SC23. The major arctic blast we saw in the US several weeks ago (in Nov) was literally melted away by higher solar flux. The first half of Nov we saw the daily flux average 139 sfu; the second half of Nov it averaged 172 sfu/day, and for the whole month the average was 155 sfu. For the past nineteen days flux has averaged 170 sfu/day. In other words, we are still experiencing solar max in SC24, which is very closely tracking SC1 right now, and if this cycle follows SC1 in activity, we could be in for nearly another year of high solar flux and more warming. The Weather Channel earlier today called for 10-15 degrees above average temps for many parts of the US for the next few weeks – I’m sure they also use F10.7 in their forecasting, even though they still preach GHGs drive the climate. Take a look at Roy’s UAH plot above and see the big dip in temps 2007-2009. It’s smack dab in the middle of the last solar minimum. For about nine years the F10.7cm flux averaged only 88 sfu/day after the peak of SC23 before activity started rising again after the onset of SC24. It takes time for the higher solar activity warming to accumulate here in the oceans, and it takes time for it to dissipate under lower solar activity conditions. The Sun always finds a way to teach us more lessons, if we’re paying attention. This information here is just the tip of the iceberg… The Sun drives the weather and climate, not C02! It is the warmists who are delusional. The dangerous future you speak of will only happen if the deluded ignorant are still in charge then as they are now! THANK YOU!!! Excellent discussion! Now all we need are more of the mindless masses to stop parroting hysteria propagated by sensationalist media despots, and look at the big picture instead. Then maybe the CAGW dialogue will die the death is so rightly deserves. Maybe, definitely the adjustments to the temperatures are going up… always have since 1940 and track the CO2 increase so perfectly. Are you blind to facts? Or maybe you are speaking of the record cold readings. Way, way up! Bassman, you incorrectly cite “record breaking monthly surface temperatures.” I looked up the NOAA-NCDC data for individual months Jan.-Oct 2014, global land surface temps. None broke records. Oct. 2014 was 5th highest, Sept. was 6th highest, Aug. was 2nd, July was 10th, June was 7th, May was 4th, April was 3rd, March was 5th, Feb. was 44th, Jan. was 4th. “Global Analysis – October 2014,” NCDC.NOAA.gov. Input individual months at top of report, scroll down to Temperature subhead, narrative lists land surface, sea surface, and combined land and sea. It was warmer last interglacial. Interesting article on a well know fact that gets little media coverage in this day of dominantly one-sided coverage. For me, paleoclimate studies like this challenge the perception of dangerous or catastrophic climate change. Moderate warming from a lower sensitivity in Earths temperature to CO2 increases makes an outcome that is not outside the realm of natural climate change. It is likely this interglacial will be nothing special compared to the last and humans and other animals will adapt just like they did in the past. If u want to reduce the human impact then have less kids and encourage population control via education and family planning, especially in developing nations. Aaron, great advice at the bottom, no disagreement there. The current shift in temps is unprecedented and way beyond natural variation. The CO2 forcing and current growth rate is swamping all other natural forcings. No serious person at this point doubts the evidence of GHG warming at 400ppm. The fingerprints of GHG are evident in both hemispheres. No statistically significant warming for a couple of decades = unprecedented. Your statement “No serious person at this point doubts the evidence of GHG warming…” is rather trite. There are many serious people, some of who comment on this blog, who doubt. Additionally, the fear you try to instigate is another psychological method used to induce compliance from those who dare disagree. I’ll say this, I am afraid, but of the coming ice age, not warming. I see nothing to fear from warming. Certainly Miami, New York and New Orleans might go under, but that is peanuts compared to the effects of cooling the planet any substantial amount. Now compare the effect of this to the loss of a few cities and tell me which one you really prefer. And if you would tell me we can control the climate and it will never get that cool, then, I suggest, you may be completely dismissed out of hand. It would probably be advisable to consult the published records of temperatures. As I hope you are aware, there are huge numbers of available time series, both for areas, hemispheres, global, and countless series for individual sites. Some of these records are pretty reliable, I suppose, though one has to have doubts when the North American compilations are routinely adjusted, despite their inventors (note, not data analysts) being asked directly what their algorithms do. The classic and non-informative reply is that they are working as intended! There can be little doubt of veracity of that informed comment+ The adjustments always lower older records, say longer ago than 40 years (guessing here) and raise the values for more recent records. That is what is intended. The discrepancies are so blatant that it is very difficult to believe that the perpetrators have not looked at their effect. Of course, because the effect is one that they, in protection of their funding, wish to promote, they have no interest in doing that. As I say, go and collect some records, do your own analyses and publish the data and your conclusions here. I’ll have a look at them and tell you (honestly) what they disclose to me. Perhaps you could translate the fingerprints or read the palms involved in this too Bassman? Solar variation is a factor, but a small one. See this great post in Realclimate. Bassman – I am somebody who actually agrees with the climate scientists. I’m just curious…why do you post here? Is it for fun? Do you ever actually find folks that are amenable to information here? I admire your tenacity! What, you mean people like Dr Spencer? FWIW, I agree with him too. The models are clearly running way too hot. Bassman, exactly my point. The error bar on that chart is absurd if it is intended to reflect the role of solar activity in climate and it is missing a potentially major secondary mechanism in magnetics and cosmic rays all together. The IPCC is assuming they know the suns role and they just dont. It only considers TSI but uv light varies by an order of magnitude more and the influence of the component on global climate is poorly understood. So that would about like saying look at the atm oxygen trend to understand CO2. Then there are cosmic rays that build up low clouds and impact albedo during low periods of solar activity or when the earth magnetic field changes. So now the sun is linked to a much much bigger knob in the model. There is more than enough published data to consider the possibility for a significant cosmic rays influence on climate via albedo from low clouds and high clouds as a GHG. The IPCC does not consider it in a single model bc it ruins their story for CO2. It is politics only. He likes the battle and i actually get a lot out of it bc it forces me to articulate my thoughts. Im about to start publishing again at work (not climate related except for some orbital periodicity in carbonate growth patterns from the miocene: carbonates really respond to sea level bc reefs are tied to the photic zone) and that will take me away but in the mean time this is a good venue. You know we all should be very thankful for the community here bc i have learned a lot from many people including u. It is sort of like a educational center of sorts. If Bassman didnt stay at it we would not have the venue to express ourselves and learn… so in a sense he is very useful. So Bassman you take your cues from that dolt from NASA Gavin Schmidt? I guess you’re not really a serious person after all. For you to cite the IPCC for solar attribution is a joke, and the joke is on you! The Sun is firmly in the driver’s seat. Bob I couldnt agree more. Until the IPCC has scenarios include a stronger sun from cosmic rays or even the uv spectum they are not representing the suns potential. The evidence for a stronger influence on climate from the sun is overwhelming and it brings into question the validity of agw theory. Anyone answer me this. Why are there no models that consider a stronger solar component in the range of IPCC scenarios? TSI is not representative of the impact (potential impact) of solar activity. Read the literature. The answer is because shifting a little of the warming last century away from CO2 and to the abnormally active sun (from 1950 to 2000) removes much of the projected future warming because the sun has returned to lower levels. Bassman i will provide literature if u will read it? Bob, Gavin is just as harsh with critism to any “warmests” that make claims without solid evidence as many have observed. He sticks with strong peer reviewed evidence. The IPCC is a pretty conservative scientific group. All that aside ossqss and others, look at the chart under the heading “Overall View” in the link below. It clearly shows just how abrupt and significant current warming is. Too many people on here confuse slow natural changes in response to changes in and out of ice ages or local climate changes responding to other natural events.. These are in stark contrast with the sudden anthropogenic forcing that has occurred in the last 60 years. Look at the overall 5 million year trend and tell me that isn’t an “abrupt and sudden” departure from natural variations. Also, just to spell out how tiny natural solar variation is in terms of forcing. Its total range of variation according to the IPCC is just .1 W m2 compared to a total AGW forcing of 2.29 W m2 as of only 2011. Its really a bogus argument to be talking about the sun right now as the driver of current record temperatures. Don’t you see Bassman that the IPCC has completely failed to accurately predict future temperatures based on their “science” that you so easily have fallen for? 2010: Strong El Nino year. Use your search engine. What is amazing is how you resort to appeals to authority who have proven to be incapable of making accurate predictions, and yet you want buy their attributions hook line and sinker. Global warming happened because of the Modern Maximum in solar activity, a 68 year stretch that ended after the max of SC23, where for all that time solar activity as measured by sunspot number was over 30% higher than the previous 68 years. You really need to put that glass of kool-aid down now. Once you include deep ocean heat content gain, the forcing values of the IPCC are dead on. Surface warming is too easily influenced by changes in ocean currents. They are going up again however. The deep ocean heat content gain is largely modeled, not measured. So it can be whatever you want it to be, to be consistent with whatever you want it to be consistent with. Strange, like God of the Gaps, the warming is disappearing into these harder and harder to find rabbit holes. Bassman, how do you rationalize the IPCC theory of positive feedback between CO2 and H2O vapor when CO2 concentration has been 6,000 in the past? What T, H2O vapor and CO2 concentrations represent the IPCC’s ‘tipping points’? “There is no proven link between human activity and global warming. Global temperatures increased throughout the 1940s, declined in the 1970s and subsequently began to rise again…. Present day global warming resembles the 1940s, when ships could easily navigate Arctic passages. However, man’s impact was much smaller at that time. A Russian expedition that recently returned from the central Antarctic says that temperatures are now starting to decrease…. So what was it that melted near 2 mile thick ice if solar played such a small role bassman? Solar evidence just doesn’t explain the way the planet is warming (warmer nights, polar amplification, stratospheric cooling). The specific way the planet is warming plus (as one would predict from GHG and the fact that overall we are getting much less solar energy anyways (aerosols/global dimming) and yet the planet is still rapidly gaining energy. Solar hypotheses on here just aren’t convincing at all. The scientific community seems to agree with me. It just sounds like an excuse to face up to scientific reality. It’s not the sun. Look at 2010’s record temps during a solar minimum for further proof. Typo, “An excuse not to face up to reality”. Can everyone on here agree that it isn’t solar variation when the solar cycle ramps down again and global surface temps continue to rise beyond 2020? I mean really does anyone think that as solar radiation declines again we won’t continue to see record breaking temps, ocean heat content gain, melting land ice, further declines in arctic sea ice, sea level rise. There is no way with a GHG forcing this large that things won’t continue to warm. I’m confused by the wild ideas that get thrown around here in the face of so much solid peer reviewed evidence pouring in from journals every week agreeing with AGW theory. And can you agree that when we head into the next minimum and temps inevitably drop as a result that it was and always will be SOLAR!? Bob, good luck placing those bets. Its not impossible that solar energy could suddenly decline beyond anything in the last 100 million years, but that in know way invalidates anything related to GHG forcing. Life is about probabilities and if we are adding 2-4 ppm CO2 every year well into the future we will be in a whole new era of climate. Many scientists argue we have already entered that era. Solar activity can only drop to a baseline level of zero sunspots and F10.7 flux of about 65 sfu. When that happened in 1810, after many years of decline, temps dropped considerably in the same year, bottomed out, and gradually climbed back up again to previous levels after over a decade and a half. That time is called the Dalton minimum. Another instance was during the Maunder minimum, when solar activity dropped to baseline levels for many decades and temps dropped enough for people to refer to those times then as “the Little Ice Age”. Perhaps you should study climate and solar history more so you don’t come off as so uminformed. Why do people so often insist that one and only one cause drives climate change? It is pretty clear (IMHO) that solar AND greenhouse gases AND the earth’s orbit AND ocean currents AND several other things all impact climate and can cause climate to change. Neither CO2 nor solar is the whole story. The other factors are of course operative but not as significant as solar variability. So is it you opinion that the accuracy of temp measurement has enough resolution and longevity, globally, to make such a connection? What of the logarithmic nature of lab tested static, non-chaotic, CO2 concentration responses and temp? I appreciate your response, but am finding a closed mind of perceived settled science. Do you really think that way, or do you have to? I mean no disrespect, but it is obvious there is more in play than your comments. That was not the question. Perhaps you could read it again? I’m a bioligist and teahcer, not a climatologist. I know what overwhelming evidence looks like however. I also know the tactics Intelligent designers used in the 90’s and 2000’s. This is for different reasons but the same. Define overwhelming evidence. What evidence and what makes it overwhelming? Bob, for starters, Nasa has plenty. See below. Think of eugenics and evolutionary theory, rather than intelligent design, if you’re looking for analogies. The fact that the eugenicists were so fashionable in the early 20th century doesn’t invalidate Darwinian theories. The nonsense Bassman peddles doesn’t invalidate climate science. But it’s still nonsense. All caused by the Modern Maximum in solar activity, and these indices are exaggerated. For instance extreme weather events are in decline and have been for some time now. Don’t you pay attention to reality or do you have your viewpoints issued to you by your teachers union or Al Gore? Bassman exactly. U are a biology teacher i have a phd in geology from a good school in paleoclimatology. The difference is u have not collected your own data and published it to understand how political the system is. I truly believe you are a very smart guy (more than capable of doing a phd) its just you are weighting a very biased perspective to heavy. I learned how political the field is when i switched from pro AGW to natural forcing. You have to remember entire departments are built by the funding from one side so the numbers are skewed bc the funding. The definition of ‘smart’ is the ability to think critically. If you can’t do that, you may have many other virtues, but you’re not a smart guy. is a Senior Advisor to Potomac Asset Management and Chief Strategist for the Potomac Energy Fund? Do you think an international banker, oil billionaire and Illuminist (Luciferian/Satanist) and depopulation supporter like Rothschild, who has financed both sides of wars in the past in addition to selling weapons, and benefited from debt service on these activities, in addition to supporting a New Marshall Plan that includes recolonization of the US and Australia (video content), could support AGW theory for reasons unconnected to the welfare of the planet? With no basis in science? The only thing that’s wild here is your rampant belief in failed scientists. It doesn’t matter how many of them there are either. Reality is not governed by “consensus”. You want me to take anything you say seriously? Define your statement “GHG forcing this large”. I can see why you’re confused. Can you explain this “2C” temperature thing? You really mean 2 C° change, I believe, in global average temperature. What is the base temperature – and why? Where did the “2” come from – and why? Why is it not 1.9, or 2.3? Where is the study that came up with exactly 2 from the base (whatever that is). This all seems so – – – arbitrary. Then, at 7:03, you mention someone being harsh with critism to a person that makes claims without solid evidence. I guess I’d like to see some solid evidence regarding this 2C thing. John, The 2C is the cumulative warming with an additional 1.2C warming on top of the .8C we already have from pre-industrial times. It is the common language in most emission scenarios discussed by governments. I assumed people on here knew what I was talking about, sorry. With the extreme weather already occurring at current temperatures, an additional 1-1.5C worth of warming involves a lot of risk when you consider that its in addition to all the other effects of ecosystem destruction etc. I worry about the stability of governments under increasing droughts and agricultural losses. Its upsetting that certain bloggers on here continue to tout the idea that continued warming is some how magically going to stop based on solar or CO2 isn’t a greenhouse gas or its only natural variation arguments. Such discussion ended along time ago in respected scientific circles. People on here need to know that. There are plenty of things to be skeptical about dismissing decades of research with know convincing evidence just doesn’t work. No one in the scientific world takes these arguments seriously. “The common language” I am familiar with … it is the evidence that seems to be missing. Checking out for the night. I encourage everyone to keep following new research in climate science and to pay attention specifically to sea level rise and deep ocean heat content. These two measurements are the least susceptible to decadal variation. Goodnight everyone! Good night to you and I hope you’ll be paying real close attention to solar flux from now on. Well, bassman isn’t any worse than Doug Cotton I suppose. Bassman, are you trying to persuade us or are you trying to persuade yourself that you’ve persuaded us, or what? Do you suppose that you’re going to post a few comments here and we’re all going to say, Wow! That bassman, his sentence structure, his timing, his idiom; he’s said the same things literally thousands of others have said but his magical rhetorical powers have lifted the scales from our eyes! I hate to mock you, but what on earth else do you expect? Give it a rest, go think it over. Rambling on about random weather events, aka, ‘extreme weather’, etc., is frankly embarrassing. But cranks start with beliefs then work backwards picking through the evidence, collecting and discarding, until their sand castle is complete. Remember, even a fundamentalist is capable of rational thought. He will spot immediately all the so called inconsistencies in the Koran. Likewise, a follower of the Koran will immediately spot all the so called inconsistencies in the Bible. But neither can see any flaws in their own beliefs. Personally I’d like to lock all the nutty Bassman’s of this world in the same room as all the greenhouse effect deniers, and let them knock each other senseless. This would spare the rest of us from having to constantly scroll over their expert sounding gibberish. Mark, you are probably right. I just hate to see so much garbage go unanswered. Don’t compare be to Doug C. He could be a bot and it wouldn’t surprise me at all. At least I make a good faith effort to respond to people. Will, I am just communicating the mainstream findings of modern science. I suppose I find your type of crankism more offensive than the greenhouse gas deniers. The greenhouse gas deniers at least acknowledge they are in a minority. That only *they* see the truth, that everyone else–all of the scientific community–is too dumb to ‘get it’. Yes, it’s pathetic, but it’s harmless. On the other hand, your typical Bassman style crank *speaks for science itself. * It’s not the lone wolf delusion. It’s far more grandiose. Bassman *is* science. Hence all your beliefs are mainstream. Everyone or anyone who dare disagree is too dumb to ‘get it’. If you cite a paper (from the hundreds of thousands to pick and choose from), this paper *becomes* THE TRUTH. Because… Bassman endorses it. Yes, it’s also pathetic. But hopefully it doesn’t do too much harm in the long run. It’s not just Bassman that endorses it. It’s organizations like NASA and the Royal Society – in fact just about every prestigious scientific body in the world. Bassman is no crank. Your view of the world has become so distorted by the time you have spent reading climate blogs that you no longer recognise normality when you meet it. Look, people like you and Bassman are science cranks. The only positive side to all this is that at least, besides causing the public to waste money, your lot won’t do too much harm. I only truly despise the anti-vaccination cranks. Those guys help to cause children to get killed. At least your nonsense doesn’t lead directly to anything as bad as that. Bassman is pretty much parroting the climate science mainstream. That doesn’t necessarily make him right, but if you think he represents a minority view, you might be living in an echo chamber. MarkB, Yes that is exactly what I am doing, parroting mainstream scientific consensus that continues to be reaffirmed by new studies and present day measurements. sorry MarkB, the comment above was made by me not MarkB. I need to slow down with the keyboard. He is not “parroting the climate science mainstream.” He is parodying it. For example, if the mainstream scientific consensus is that there is little to no evidence supporting “extreme weather” – he asserts the opposite. If there us a consensus that the world has warmed, he slips in the wording that the world is warming “dangerously”, hoping, I expect, that nobody will notice. If there are hundreds of papers discussing the medieval warm period, he’ll find the 3 papers asserting there wasn’t one. Whatever junk he comes up with, he claims it’s the “consensus”. That’s what cranks do. With the extreme weather already occurring at current temperatures, an additional 1-1.5C worth of warming involves a lot of risk when you consider that its in addition to all the other effects of ecosystem destruction etc. I worry about the stability of governments under increasing droughts and agricultural losses. We have not seen agricultural losses due to climate change so far either, those remain in the realm of speculative predictions. And the scary climate model predictions remain off course and diverging from observations. I for one have yet to hear a plausible explanation of how the missing heat is supposed to come back out of the depths of the ocean to get us. Generally speaking, atmospheric temps follow SST’s, and if the energy is going into the depths, then that’s a good place for it. We’re never going to see that energy as higher atmospheric temperatures again. Few among us doubt that CO2 will cause some warming. It is far from settled that CO2 will cause catastrophic warming, or even warming severe enough to rank as a concern when measured against the other problems we might spend our time and attention on. You can act like we’re mad not to be on the alarmist bandwagon if you please. From time to time maybe I’ll make it a point to come back and burst your bubble. But wouldn’t it be simpler and more graceful; demonstrative of more respect for yourself and others, to just for the love of sanity give it a rest! I’m confused Mark. If Bassman is merely “communicating the mainstream findings of modern science” why is claiming the exact opposite of the mainstream findings of modern science? I try to be civil Will, seriously. I don’t want to have to get personal. But I don’t comprehend the arrogance that permits guys like Bassman to walk in here as if he’s the only guy who knows how to read, spouting the party line as if it’s Holy writ. It’s offensive and annoying. There are plenty of blogs where I’ve got to put up with that crap, leave or be censored, but not here, apparently, and I’m duly grateful for that. Bass believes all here are mere bloggers. He belongs to the realm of real scientists. The painful truth is his earnest pursuit of a distorted view. Has he read Don Quixote? The Royal Observatory of Belgium opines that the protracted and rather weak Solar Cycle 24 has finally entered its declining phase. The next ten years should provide tests of several interesting theories. Why didn’t the declining phase of Solar Cycle 23, when there was a long protracted minimum with low activity, provide a test of “several interesting theories”? Also why is it that recent ARGO data shows a consistently strong accumulation of Ocean Heat. If the oceans are warming it’s highly unlikely that the atmosphere will cool in any significant way. Baseman you real have no clue when it come to climate and why it may or may not change. Bob, excellent commentary and it will all come to pass. The climate acting as expected thus far in response to solar cycle 24 maximum. Baseman if you read this carefully you would understand why may of us are so sure we are on the correct path. As far as climate variability over the past 100 years this has been one of the more stable periods over that length of time. If you want to see a unstable climate review climate changes between 20000 -10000 years ago. In that regard in broad terms my climatic forecast going forward is for global temperatures to trend down in a jig-saw pattern while the atmospheric circulation remains meridional. I want to say that I admire your courage to express your ideas and beliefs against the conventional wisdom of the “97% of scientists” who support the so called settled science. I am currently a student who is required to take a weather and climate course to satisfy my degree curriculum. I read your blog, but I must admit I am a novice when it comes to the climate. My question is, how do you argue with a professor who is hell bent on indoctrinating his student to his beliefs, which by the way is man-made GW? I do believe the climate is changing, however, but not for the reasons expressed by mainstream alarmists. Does anyone have any suggestions on how to combat, and I use that word literally because its like war with these people, arguments for cyclical weather patterns, which is what I believe? Or do I just smile and pretend to agree with everything my professor says just to get the “A” I want? I would love to hear your thoughts. For starters, never “admit I am a novice when it comes to the climate” near statements like “I do believe the climate is changing, however, but not for the reasons expressed by mainstream alarmists”, because it reveals that your view is based on ideology, not personal understanding of the science. If you must play contrarian, it’s better to draw on material from plausible experts who share your viewpoint. With a lay audience you could probably get away with just about any mumbo jumbo, but with your professor, if you must differ, stick to a prepared script, strongly preferring material that has made it into the published literature. Even this approach may put your grade at risk. Alternately, you could play along, try to learn the mainstream science, perhaps get an A along the way, and then you’ll be far better equipped to express a science-based opinion of it. Hey no kidding. Do yourself a favor, read without passion or prejudice the arguments on both sides. Who knows, maybe you’ll conclude the mainstream is absolutely correct and that the skeptics are mistaken. You can get the mainstream position most anywhere. I recommend Skeptical science, real climate, and then there’s physics, and Tamino’s open mind. There are loads of others, those are just the ones I keep track of. The skeptical position on blogs like this one, WUWT, climate etc, the blackboard, places like that. You could be right, my view may very well be interpreted as ideology, but even all the counter science in the world to the contrary to the climate change argument, and what actually contributes to it, still defines my ideology. The instant I offer a differing opinion, whether rooted in published literature or not, my ideology is defined for me by the opposing party, at least that is what I have encountered in the past. Alas, I will heed the advice of everyone and keep my mouth shut. I will just use it to smile at my professor with, making him think he has converted yet another climate change ignoramus, all the while collecting my A. Does anyone have any suggestions on how to combat, and I use that word literally because its like war with these people, arguments for cyclical weather patterns, which is what I believe? seems to invite a general response. My short answer / advice is do not. If your purpose is to complete a degree program, it does not serve your purpose to paint a target on yourself for your professors to shoot at. If you view it as a war, the analogy is simple. Do not expose yourself to fire in a situation where your adversary has all the power and you have none. Maintain anonymity and fight from a position of strength. Hint, you will never be in a position of strength sitting in a hostile professors classroom. Just my two cents. ðŸ™‚ Good luck. You are correct, my initial question was directed to Dr. Spencer, however, after reading many of the responses, I felt comfortable re-directing the overall question to you guys. You all seem to know know your climate science. Thank you for your responses. The consensus seems to be not to engage the professor, so I will not. Good advice from all who responded, and thank you for the suggested reading material and websites as well. My comment was rejected by moderation. Perhaps because I posted several links? I will definitely search for those peer reviewed papers. Funnily enough, when I mentioned Dr. Spencer in a lecture we were having this past Tuesday to my professor and the topic of peer reviewed journals, he got his back up and said, “Dr. 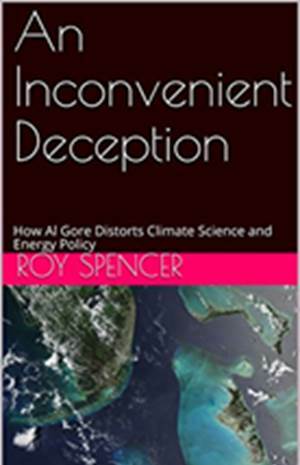 Spencer has never written any peer reviewed papers on the climate.” It’s impossible to have a meaningful, intelligent conversation with people like my professor. The minute they realize you are skeptical, they go nuclear on you. I’ve had a few big fights with professors (or at least those teaching with doctorates) and although it was basically me against the lecturer and the entire class at times – because the class was scared witless by the teacher’s behaviour – I always ended up with top marks. That’s because I backed up by position with strong arguments and thorough research. But it doesn’t sound like you’re in the same situation as me, as it sounds like your professor is a clueless nitwit. But don’t be surprised if your professor is an expert in some very narrow field and largely ignorant about everything else going on around him. That’s not an uncommon situation, even for some good professors. “A specialist is someone who learns more and more about less and less. Eventually, he knows everything about nothing, and nothing about everything”. Then use Ctrl+F (PC) or Command+F (Mac) to search this page for “Spencer”, you will find almost 25 papers. Eringo – You argue it based on post from people like myself and Bob Weber as well as what Dr. Spencer has to say. If you look at past climatic data going back 20000 years you will see the last 100 years of the climate was very stable. Man made global warming is a ridiculous theory and will be proven wrong before this decade ends. Just pretend and get an A Eringo. If you’re taking a course with the intent of graduating and need a decent grade, it is best to regurgitate what the professor intends. If you don’t need the grade and wish to argue, there are various recommendations of base material made above. However, your description leads one to believe the professor is not open to disagreement and, I can tell you from personal experience, will act as if he is an authority and dismiss you prior to any discussion starting. Thus your attempt will be doomed from the start. None the less, there is a certain amount of pleasure to be gleaned from these type arguments and if your personality is of that bent, I suggest go for it. Once upon a time, I took issue with a statement in the text my professor was using. He and a cohort had written the text. The end result was they changed the verbiage in the text because of my argument. But it wasn’t easy, but it was fun. Speaking of regurgitating, my professor consistently uses the whole “97% of scientists agree” mantra to support his beliefs. When another student brought up that a lot of these scientists get grants to study climate change, ultimately suggesting that it was about money to get the results they wanted, he then tried to claim that scientists are objective, and that they couldn’t be bought off. I must have been hormonal that day or something because I spoke up and said, “scientists are not robots, so it’s not fair to say that they cannot be bought off, they are human just like everyone else.” It’s sad really that they have so convinced themselves that this is settled science, and no longer continue to examine other possible explanations why the planet is warming, or cooling for that matter! Current absorption of solar energy. What happens now in the weather? Solar activity increased again, as evidenced by the cosmic rays. I think that this will accelerate the polar vortex. Wir little to shrink. However, to remain locked over Eastern Siberia. The jet stream moves north. Pattern of the northern hemisphere weather does not change. 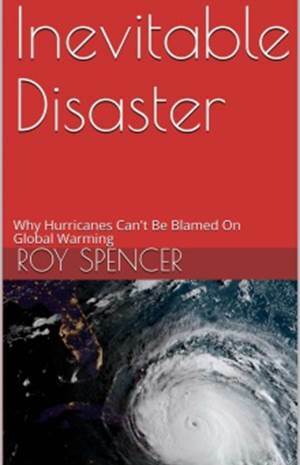 Over at the Climate Lab Book blog, a climate scientist is using Roy’s UAH data to try to claim that there is no pause in global warming! Paul, no harm in that… If they accept that UAH shows that there is no pause then they will have to accept that there WAS a pause during the first two decades of the UAH record. (to THREE significant figures) STILL missing the last 12 months worth of data (Dec-2013 to Nov-2014) ? The file above, with the link given by Dr Spencer, IS complete. The RSS figure for November, for the lower troposphere, has been released. It is down 0.028 C from October, whereas UAH is down by 0.036 C.
Yes, the lower TROPOsphere (T2LT) data file is indeed “up to date”, my point is that the equivalent lower STRATOsphere (T4) data file ISN’T. This is especially confusing / frustrating given that the “zonal” T4-V5.6 file (./t4/uahncdc_ls_5.6.txt) IS “up to date” ! NB : The “zonal” file has more columns of data, but the data are all rounded to TWO decimal places instead of 3). I first noticed this “oddity” a couple of months ago, and have still not found (/ been given) a reason for its appearance / continued existance. 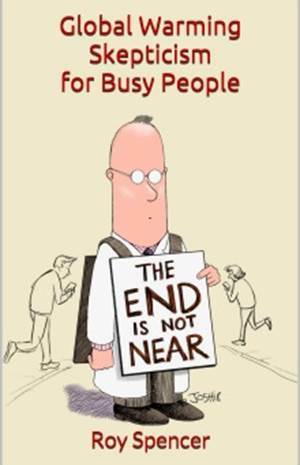 This blog has slowly degenerated over time, similar to the arguments against AGW. The hostility level is also rising somewhat like Spencer’s temp-anomaly graph. The denier’s comment about “building sand castles” unwittingly describes what is apparent going on with many on here, trying to buck the inescapable conclusion that they long ago chose the wrong path regarding AGW. They are determined to nobly fight to the end, to avoid admission of their mistaken path – time to move on to something more promising, because it’s an embarrassment for UAH. No Jack. The arguments against AGW are getting stronger as we recognise that all climate cycles are regulated by the planets from the orbits of which this plot is derived. Keep watching for continued slight cooling until 2028, then warming for 30 years, then 500 years of cooling. Any who are genuinely interested in understand atmospheric physics and why it’s not carbon dioxide after all should read these comments. Doug. .Cotton or you can enter a formula to calculate the temperature at a particular level in the troposphere? It will be convincing. TH FRench Meteo France say that 2014 will be probably the hottest year since 1900. Is it possible to challenge that with the UAH datas ? ?